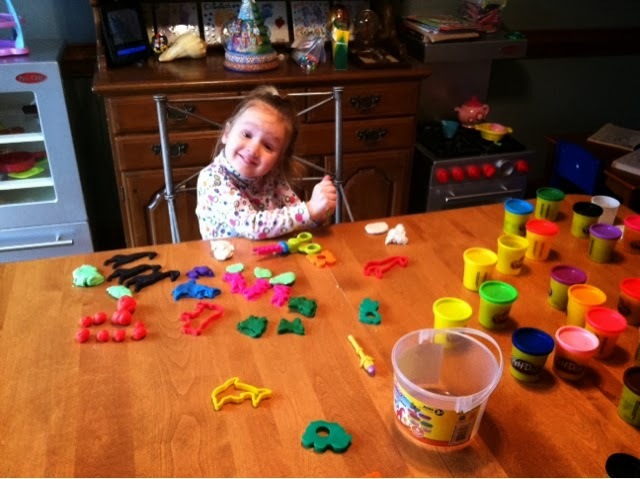 Usually I reserve the rights of all Play-Doh playing for when a sitter is here with the girls because I really cannot stand the potential for mess it gives them super special to do. 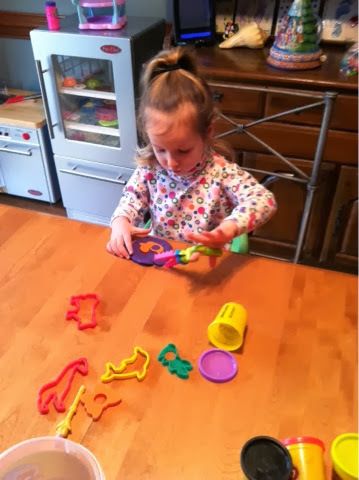 But desperate times call for Play-Doh, don't you know! 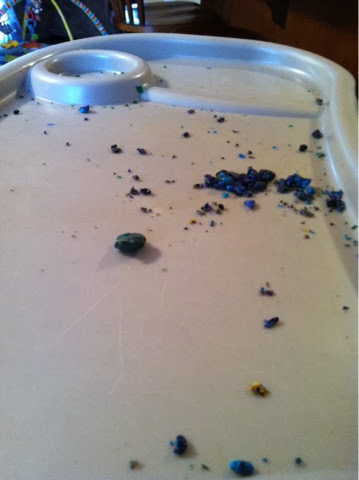 However, today I joined the ranks of the cool moms and broke out the Play-Doh. I knew I would have to have a number of tricks up my mom sleeves because school was canceled today and even though the snow is not getting here until noon-ish. 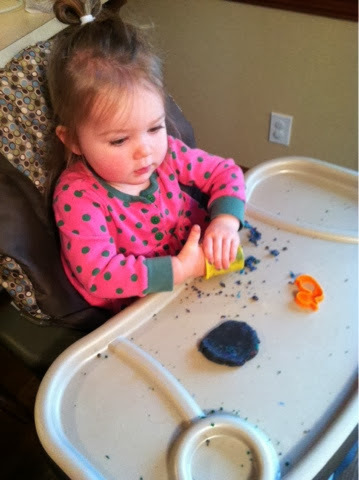 Play-Doh took up a good hour of the morning. Which was good. 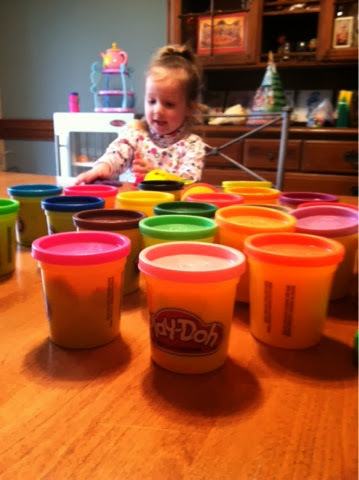 Fingers crossed hoping I don't think R consumed all too much Play-Doh. 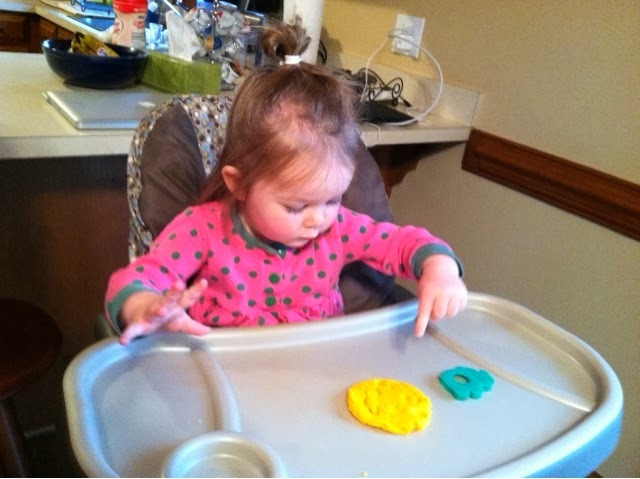 M needing feeding during the Play-Doh-ing so I am not 100% sure. All round good times. Then it was on to PBS Kids. Well it was not so horrible I admit. 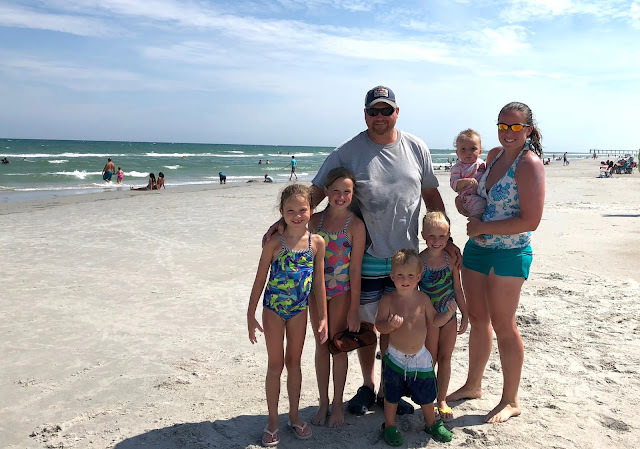 Maybe we'll do it again… tomorrow because they did enjoy it and it kept them occupied and they were not fighting. 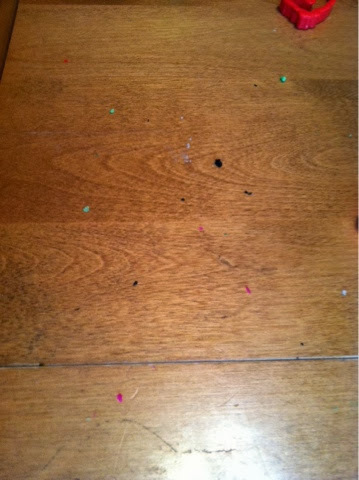 Oh my goodness, play dough specks are the worst! YES!!! 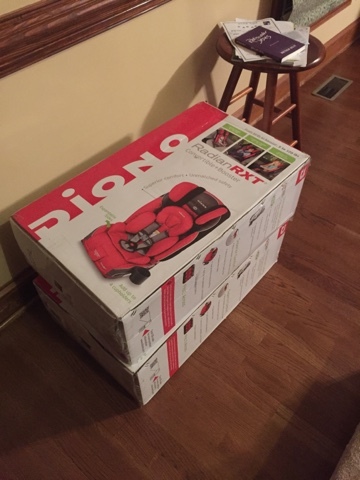 Fortunately they vacuum up well when dry!